The end of the year calls for reviews and all sorts of collections. 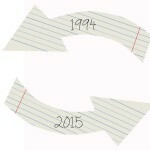 The ’12 days of Christmas’ type. This is one of those rare occasions when fine, famous men can be found in the same place! The commercial reach and the charismatic appeal these famous men hold in their power, unreservedly unleashed on the worldwide audience. 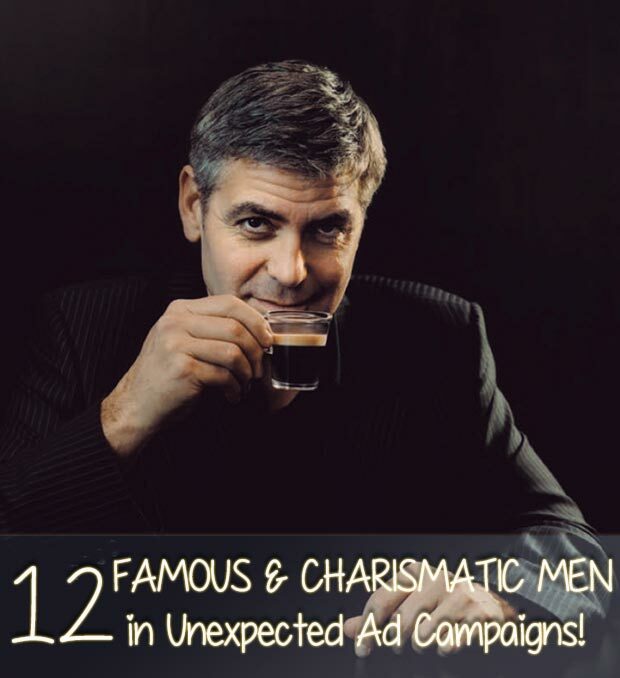 Clooney is one of the most sought-after (still) bachelors and he’s enjoying his effect on the female audience just like he’s enjoying a nice cup of coffee. 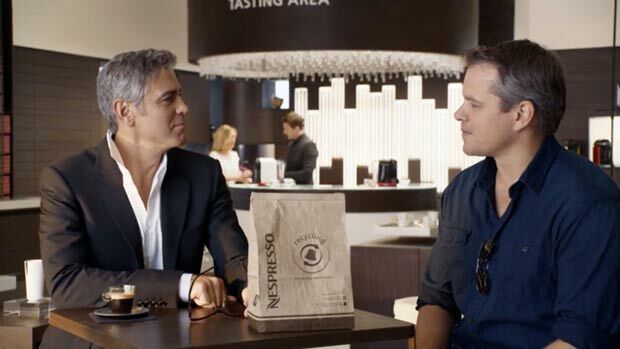 ‘What else?’ – oh, and some ads lacking punch and appeal with guest star Matt Damon. 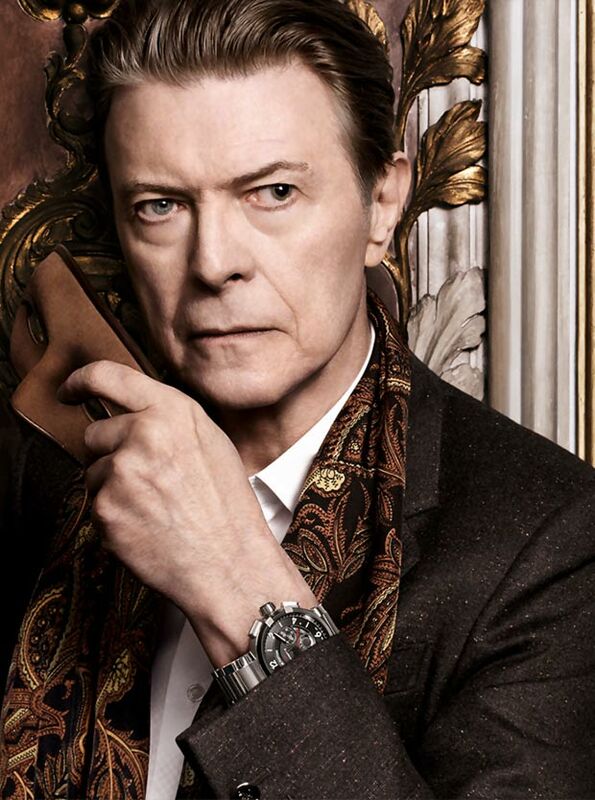 I have the deepest respect and admiration for Sir David Bowie and I have stated it in numerous occasions. He joins a long list of entertainment stars and overwhelming personalities who have collaborated with Louis Vuitton on a series of iconic ad campaigns meant to illustrate the timeless, ageless quality of a very coveted luxury brand. 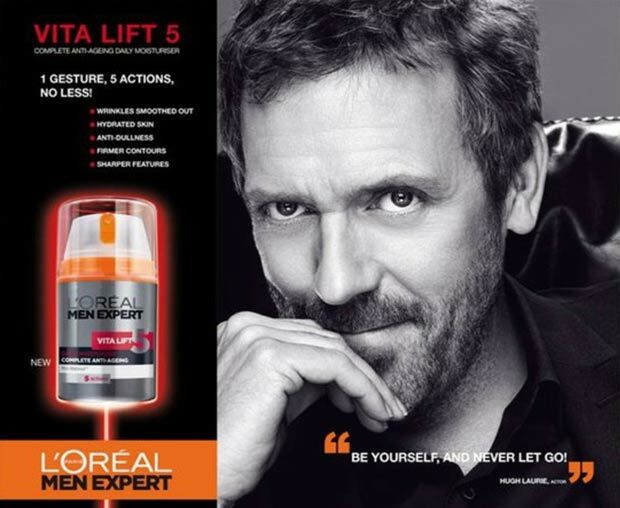 the last place I would’ve seen Dr House in and yet, there he is, in a poster for men dermatocosmetics advertorial. 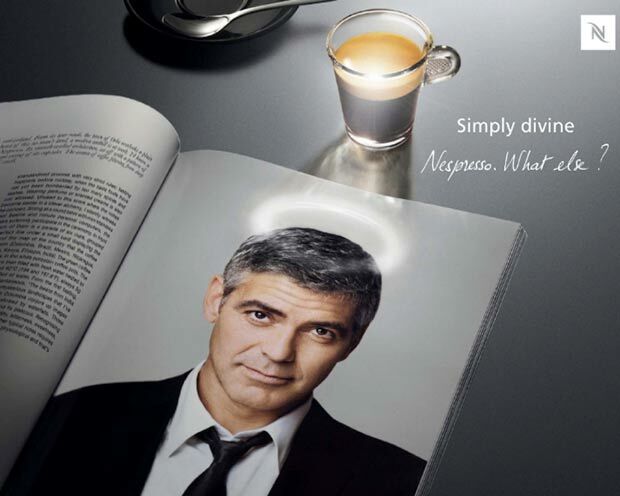 L’Oreal is undoubtedly proud to have enlisted such an iconic actor in their fight to reverse the skin clock! Campaign Facts: embarked in the skin cosmetics adventure in 2011, before Dr House wrapped up its 8th and final season in 2012, Hugh Laurie is promoting a $18 Anti-Ageing Daily Moisturizer meant to smooth out the skin (with pro-retinol), stimulate the blood flow (with ginseng), and soothing&hydrating it (allantoin, rice proteins). with his rugged look, careless grooming and loose tie bow, Eric Bana makes quite the laid back statement for a fashion house famous for its rectangular, straight cut and often exotic products. 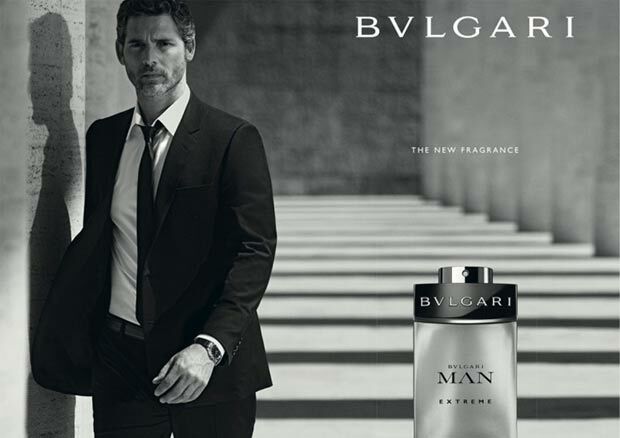 Campaign Facts: directed by Matteo Garrone in a video commercial called ‘Dvels’ and inspired by Italian Western movies from the 70s, Eric Bana was photographed leaning against the Museo della Civilta Romana (The Museum of the Roman Civilization, Rome Italy) by Peter Lindbergh for Bvlgari’s latest perfume for men. a timeless face promoting an eternally-young and energetic fragrance meant to seduce a vast audience with an unchanged aesthetic approach for years and years! 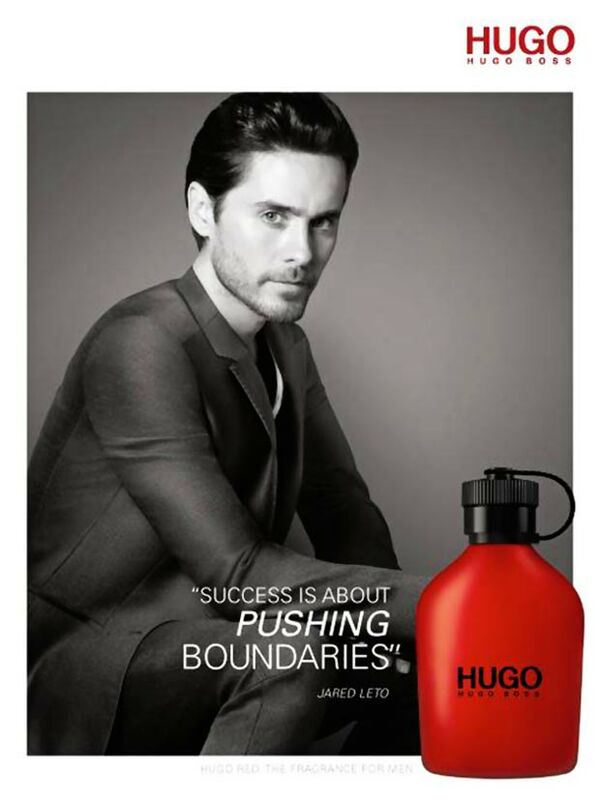 Campaign Facts: Jared Leto has become the face of Hugo Boss in 2011 and has since been gaining or losing dramatic amounts of pounds for his different movie roles (Chapter 27 and The Dallas Buyers Club respectively) but kept believing that success is pushing one’s boundaries. Such is the motto behind the Hugo Boss Hugo perfumes division he’s representing. one of my favorite actors in a too-cool-for-words campaign commissioned by the contemporary brand of street-fashion Jack&Jones. 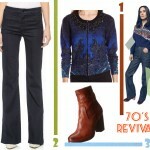 The pairing is most unexpected and the effect most welcome, especially for the winter season! 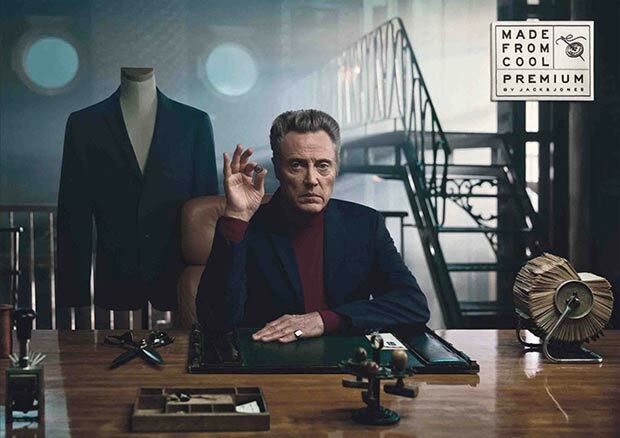 Campaign specifics: released also as photography but as short films as well, the campaign Made from Cool with Christopher Walken for Premium by Jack & Jones is as strange as it is lovable. 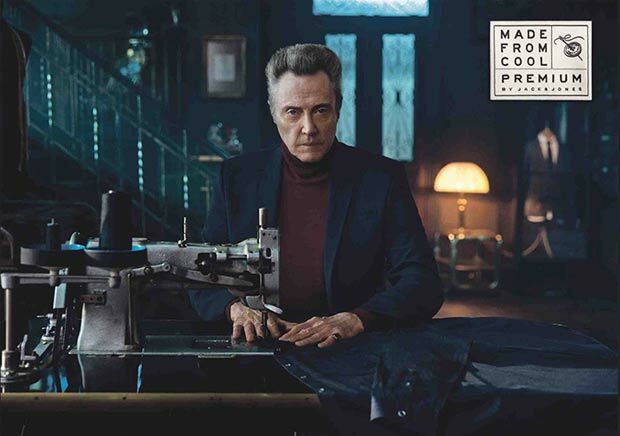 The mad tailor played by Mr Walken is indeed perfectly suitable for a ‘Made from Cool’ motto while the entire campaign was especially designed with Walken in mind! The Danish fashion label Jack&Jones commissioned the campaign to the Copenhagen based agency &Co, and the 5 short films were directed by Martin Werner with photographs signed by Danish photographer Søren Solkær Starbird. 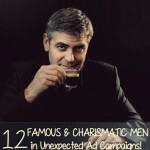 This is definitely one of my favorite campaigns (ever). 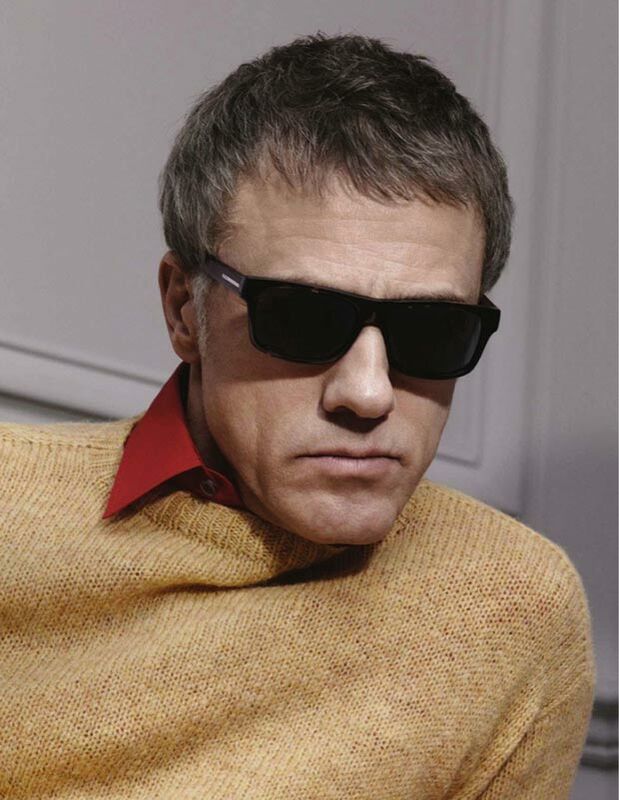 since he starred in two of Tarantino’s epic films (Inglorious Basterds and Django, Unchained), the German Actor Christoph Waltz has become a Hollywood fixture. His talent and elegance make him a wonderful ambassador for Miuccia Prada’s eponymous Men line and eyewear branch of the house. Campaign Facts: Prada Men Fall Winter 2013 was photographed by David Sims in London, March 2013. 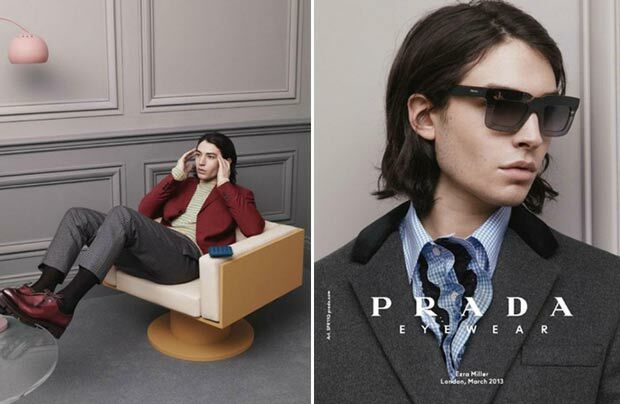 Inspired by the 60s New Wave cinema, the campaign includes young cinematography hope, Ezra Miller and Ben Whishaw. 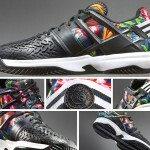 For all three, this campaign was the first time they worked as fashion models. Also they follow in the footsteps of another brilliant alignment of actors (among which Gary Oldman or Michael Pitt). See also: Prada’s Fall 2012 Men Collection Show with famous actors walking as models! the young and mysterious actor (We Need to Talk about Kevin, The Perks of Being a Wallflower) who was dubbed as ‘the new Johnny Depp’ because of his philosophical speech was contracted alongside Christoph Waltz to advertise for the Italian Fashion house Prada. 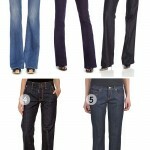 The look is sophisticated and elegant, contrasting with the actors often careless and grunge looks. Campaign Facts: just as mentioned above for Christoph Waltz. 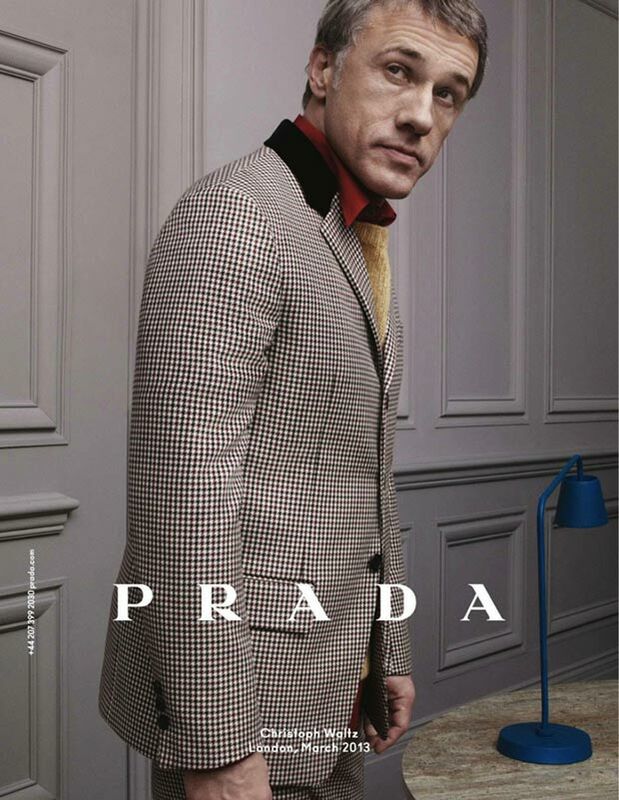 See also: What famous actors fronted Prada’s Spring 2013 Ad Campaign! although a very gifted young actor, Hayden has been more highlighted in the press for his relationship with his Jumper co-star, Rachel Bilson rather than for his theatrical performances. But the looks of this campaign are lovely and mannish, the visuals more suitable for established stars, with no clear reference for the brand other than the name/logo. 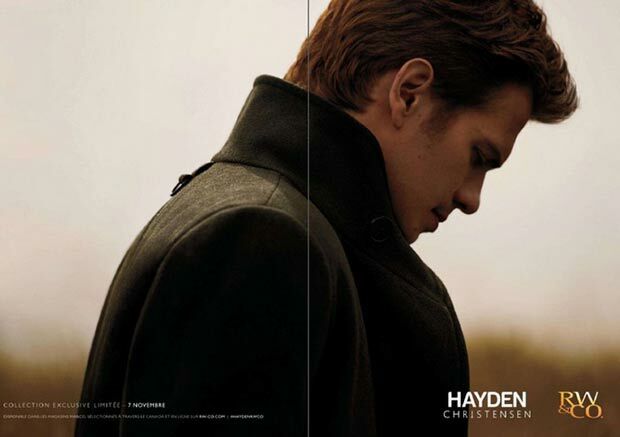 Campaign Facts: Hayden Christensen has worked on a clothing collection with the Canadian fashion brand ‘RW&Co’ founded in 1999. Released last month in a limited capsule collection, the effortless smart casual clothing look really on Hayden’s fashion alley. usually not the groomed type and very often on the opposite side of the careful spectrum, James Franco was chosen by Frida Giannini, Gucci creative, as the face of Gucci Made to Measure perfume. Campaign Facts: photographed by Mert Allas and Marcus Piggot, the Gucci campaign has also a short video commercial directed by Nicolas Winding Refn in which we follow James Franco driving around in a classic sportscar and then getting closer to the windows looking upon the city. Like he would be trapped. Inside the perfume bottle. 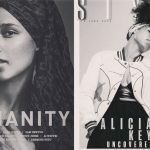 French contemporary apparel fashion brand with a special perspective on style and Parisian chic makes a special connection with Lenny Kravitz who is famous for his eclectic rock wardrobe approach. 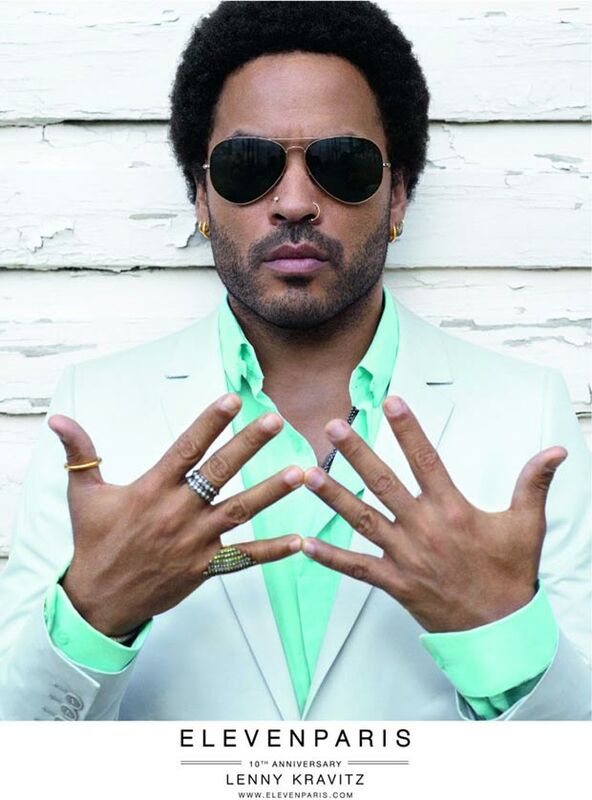 Especially since he’s incarnating Hunger Games’ favorite stylist, Cinna, Lenny’s fashion influence has augmented considerably. 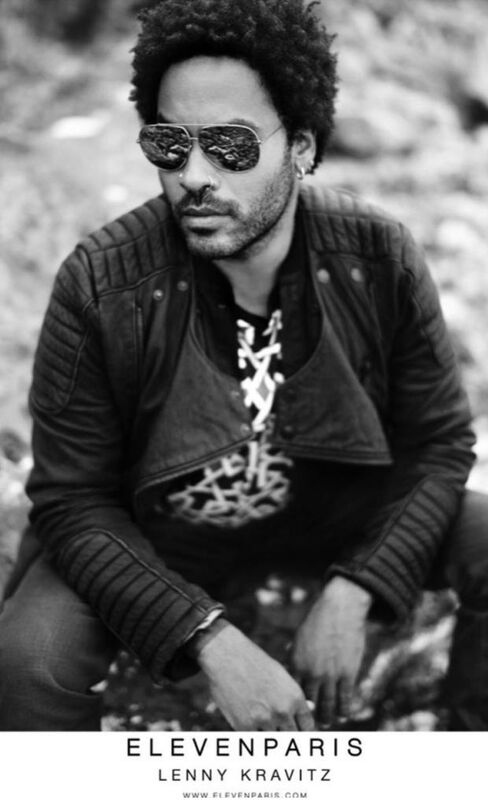 See more: Stylish looks from Lenny Kravitz! Campaign Facts: photographed in black and white by Mathieu Cesar, the Eleven Paris Fall Winter 2013 Ad Campaign has a very grunge feeling as opposed to the previous Spring 2013 Campaign, also fronted by Lenny, which had more of an ice-cream aesthetic and was photographed by Renaud Corlouer. a timeless proof of class and elegant acting, Jeremy Irons became the face of Berluti, a Fashion house founded in 1895 in Paris and under the LVMH umbrella since 1993. 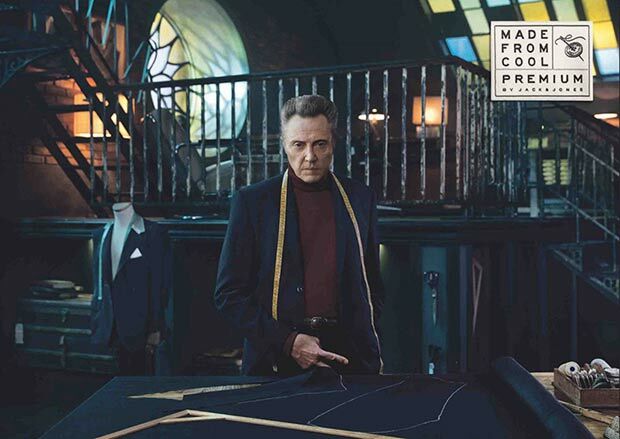 Excellent craftsmanship and exquisite sartorial taste have carried the Berluti name throughout ages and generations just as this campaign suggests, as Jeremy Irons has been initiated by the grand Peter Sellers. Campaign Facts: photographed by Jean Baptiste Mondino in a London club, Jeremy Irons looks like the epitome of cool haute fashion. 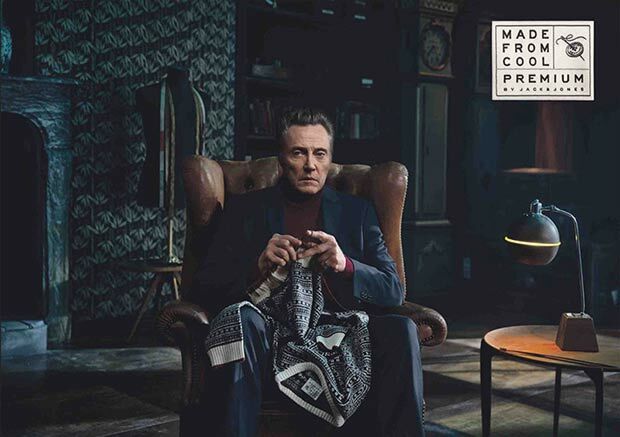 This is the first global campaign for the French Fashion House and it also includes Pierre Casiraghi ‘initiated by Jacky Ickx’, the legendary Belgian racing pilot who won the famous Le Mans 24 Hours circuit six times, among other prestigious titles. Pierre Casiraghi for Berluti ad campaign was photographed in Monaco. because we all loved the Fast and Furious late star who simply leaved us too soon on November 30th 2013 following a tragic car crash. Campaign facts: although the campaign was significantly vaster than these two images released, the Brazilian fashion brand decided not to use more than these two visual materials in sign of respect for Paul’s family and fans (the campaign involved a couple of images with Paul and Gisele Bundchen). May he Rest in Peace! However, more images from Paul’s first Colcci campaign are available and I included them below (photographed by Sebastian Kim, with models Izabel Goulart, Erin Heatherton and Thairine Garcia in California’s Mojave Desert). 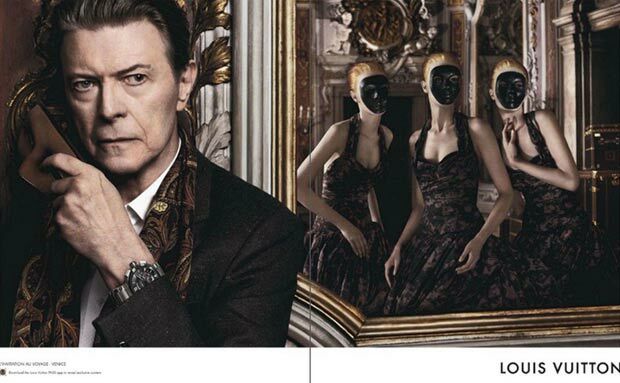 I love Bowie, Clooney, Damon, Kravitz, Christensen ,Waltz and Bana!